After falling in love with the Cresswhite Brightening Cleansing Foam, I decided to take a chance on a few more products from Primera, a skincare brand under the Amore Pacific umbrella that’s marketed as their organic line. 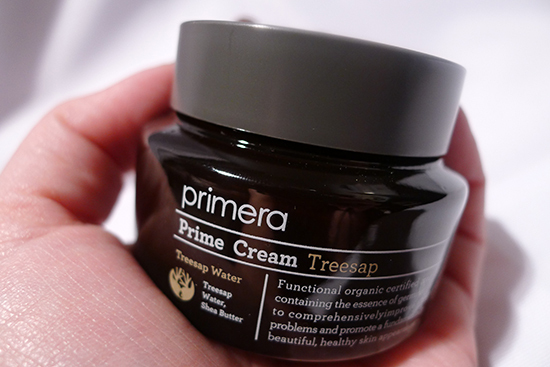 Today I’ll be reviewing the Primera Treesap Prime Cream. This was the first moisturizer I tried after falling in love with Benton Snail Bee High Content Steam Cream. The Benton Steam Cream was the only moisturizer I could use that actually helped with the horrible acne breakout I’d been experiencing, and I was very nervous about trying something new. This Primera moisturizer had some big shoes to fill, and I didn’t think it could live up to my standards. A normal person would continue to use the moisturizer they know gets amazing results. I am not normal. My sister says I’m “brave” for experimenting with so many different things – but I think I’m probably just a weirdo. Primera Treesap Prime Cream ($53) is a moisturizing cream that promises to restore skin’s vitality, promote balance, and provide moisturizing, anti-aging, and whitening benefits. The first thing I noticed about this list is that it includes Cetearyl Alcohol, my skin’s arch nemesis, which also happens to score a 4 out of 5 on COSDNA as a potential acne trigger, and a 3 out of 5 as an irritant. The second thing I noticed is that it contains an ingredient called Myristal Myristate, another fatty alcohol. It scores a big fat 5 out of 5 as a potential acne trigger, and a 2 out of 5 as a possible irritant. Shea butter – This classic skincare ingredient is one of my all time favorites! It’s anti-inflammatory, full of moisturizing essential fatty acids, and contains antioxidants in the form of Vitamins A, D, and E.
Birch Oil Extract – I strongly suspect this ingredients is the “Treesap” the Primera Treesap Prime Cream is named for. One of birch oil’s primary constituents is salicylic acid (BHA), an effective exfoliant and anti-acne treatment. Birch oil is also anti-inflammatory. Hazel Bud Extract – Full of essential fatty acids, Vitamins E, B1, B6, and squalenes, this antioxidant ingredient is anti-inflammatory and a great moisturizer. Oleanolic Acid – Oleanolic Acid is an olive-leaf derived compound with antimicrobial, anti-inflammatory, and antioxidant properties. One of the ingredients I was most curious about was Propanediol, since it’s listed first in the list and I was unfamiliar with it. After quite a bit of research, I discovered that it’s a plant-derived version of Propylene Glycol, which is a petroleum-based ingredient. Both Propanediol and Propylene Glycol are ingredients designed to increase the absorption of other skincare actives, and are not considered comedogenic or irritating. A lot of people are uncomfortable with petroleum-based ingredients in their skincare (I happen to like petroleum-based ingredients), so Propanediol is offered as an alternative. However, it does have its own controversy surrounding it. The controversy is mostly speculative – it’s derived from corn, and the anti-Propanediol sentiment is fueled by the hypothesis that since so much corn is genetically modified, then Propanediol must be a GMO product. Other than conjecture by a couple of bloggers, I was unable to find any evidence to support the GMO theory. I do know that Propanediol is considered to be safe by all major ingredient safety organizations. 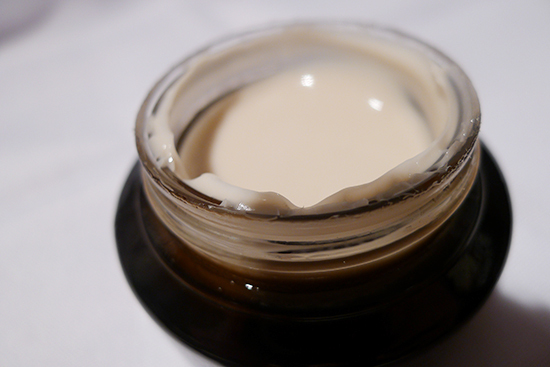 Primera Treesap Prime Cream is packaged in a glass jar. It does not come with a spatula, which might be a turn-off for some people. I’m fine with using clean hands to scoop the product out. There is no added fragrance in Primera Treesap Prime Cream, but this product does have a strong, herby/medicinal smell. The smell reminds me of rosemary a bit. I’m not sure which ingredient(s) the fragrance is coming from, but if I had to guess, my money’s on the birch oil extract. I actually find it pleasant and refreshing. It dissipates within a few minutes of application. 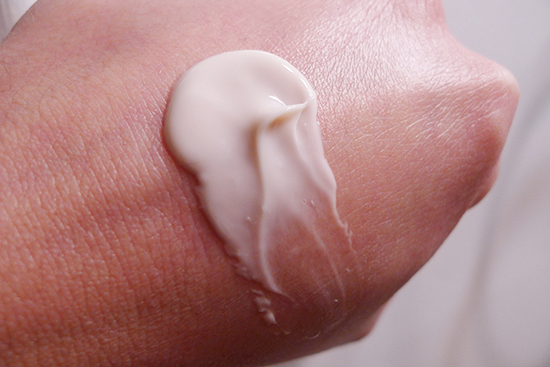 Primera Treesap Prime Cream is interesting – the color is a light beige, and the texture is almost like a custard. I apply a pearl sized amount of this cream as the last step in my skincare routine. This cream is absorbed by skin very quickly, and mattifies within minutes of application. I used this cream for 28 days consecutively. I was very happy to find that this cream did not break me out! I was concerned that it would given the Cetearyl Alcohol content, but I was fine. I really liked the finish of Primera Treesap Prime Cream and enjoyed the application process. I thought it was moisturizing enough for my dry skin, and appreciated the fact that the finish was never sticky or heavy. However, I found the brightening effects to be considerably less visible with this cream than with other moisturizers I’ve tried. Additionally, I don’t think it lightened my hyperpigmentation marks as quickly as other creams I’ve tried recently. The lightening and brightening effects were present- they were just considerably less dramatic. In terms of anti-aging – I did see a nice a plumping effect on the skin during my usage of this cream, which made the few fine lines I have less visible. I used Primera Treesap Cream through a small hormonal breakout, and I found it quite soothing. It did not worsen any of my spots, and it actually seemed to help accelerate the healing process. I’ve seen more dramatic healing results from other products, but Primer Treesap Moisturizer was still effective. 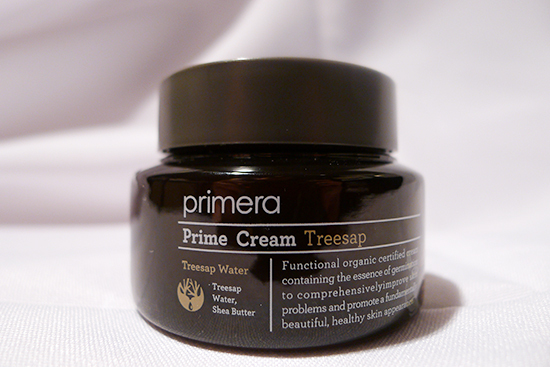 Overall, I liked this Primera Treesap Prime Cream, though I don’t think it’s worth the high price tag. 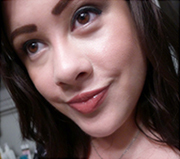 I’ve used much less expensive products that gave me far more visible results. Value: 3/5 – I think $53 is overpriced for what it does. W2Beauty has the largest Primera selection of any online retailer, and is the only shop that carries this online. 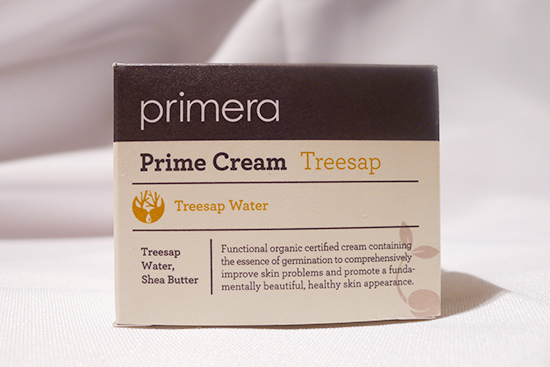 Primera Treesap Primer Cream is priced at $47. You can get a $5 voucher by entering my sponsor code at sign-up: 025605. Thanks, Tiffany! Yeah, $53 is a lot for this product! I think next time I feel like spending that kind of money on something, I’ll use it toward a more “luxurious” purchase. I’ve always wanted to try Sulwhassoo and/ History of Whoo, and I think that $53 would have been better spent on finally trying one of those lines. I think we should make some anti-Cetearyl Alcohol t-shirts and bumper stickers! As always, so in depth. ^^ Like Tiffany says, the price is a bit of a NO for me. I’m like you though – even if I find a skin care product that works, I still want to experiment with a billion others, just in case. Lol. Exactly! I mean, how am I going to know something is the best something in the world if I don’t try ALL the somethings in the world? lol kerry i totally get what you mean. Even when the product is doing a fantastic job and my skin is in superb condition, i still find myself searching for new cleanser, serum, moisturizer, oil to try. New skin care products are way too exciting! Did u try the Mizon all in one snail cream. Do make an review on it. excited to see a review on it very soon. Great review! I love your reviews, thanks for sharing them on /r/AsianBeauty! One thing, you mention you used cheaper moisturizers that gave you better/more visible results. I’m looking for a cream moisturizer, would you care to recommend a couple? Hey Agnes! Great question! My favorite, of course, is the Benton Snail Bee High Content Steam Cream. That one is my HG moisturizer for sure. I also really like the Missha Super Aqua Cell Renew Snail Cream! Do you still use the Benton Snail Bee Serum, or have you switched? I’m wondering how that has been for you over time! People who are allergic to strawberries might have an issue with this cream! I’m allergic to birch and I remember reading (and my doctor telling me) that birch and strawberry allergies are often linked. **I’m allergic to birch and strawberries. Oh man, good to know! It seems like such a random connection. Nature is such a weirdo. Also, apparently there’s some new white strawberry that’s safe for people with strawberry allergies to eat. The price of this product in South Korea is virtually less than one half of the price you paid!